Entrepreneurs tend to remain in the business niche they know best. Usually that means one they once or recently spent time in as an employee or manager within a company where they had little or no ownership. Some of these entrepreneurs starting a new company are alumni from companies that would be a competitor to the enterprise being created or joined. And some are former selling shareholders of just those businesses. So, what are the rules about those pesky non-compete agreements signed upon your discharge, or upon the sale of your previous company? 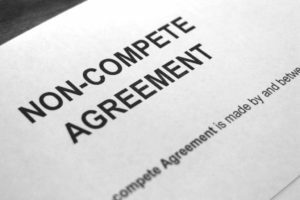 The good news is that if you were not a significant (usually 5% or more) selling shareholder of a previous company, most states specifically exempt non-compete agreements signed between companies and their employees or minority shareholders. In that case, you must worry only about information and trade secrets taken from the previous company which are both certainly subject to protection by almost all laws and courts. [Email readers, continue here…] So, to you and to everyone: do not take customer lists, design documents or any document considered a trade secret from any previous employer or previous consulting customer. Digital or analog! Yes, some companies were sloppy and did not have you sign a confidentiality agreement, but that procedural slip-up does not protect you from their legal wrath. Further, there is no expiration date on these poisoned documents. You cannot complain that the document or information in question is more than five years or two employers old. It makes good sense not to be in a position to be accused, let alone guilty of taking gray or bright red “borrowed” digital files or documents from a previous employer. We all have enough worries in our business lives not to be threatened by an emotional, upset previous employer. This entry was posted in Protecting the business. Bookmark the permalink. 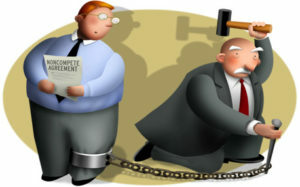 1 Response to What about your previous company non-compete?